Game characteristics H & K G28 is absolutely unique. 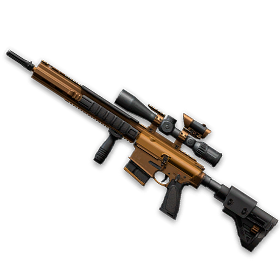 It is radically different from all sniper rifles in our game and has several interesting features. The most important of these will be the presence of its own collimator sight. Now a sniper can be effective not only at a great distance, but also at close range.